Are you looking for a scholarship? If you are looking for scholarship information, you come to the right place. 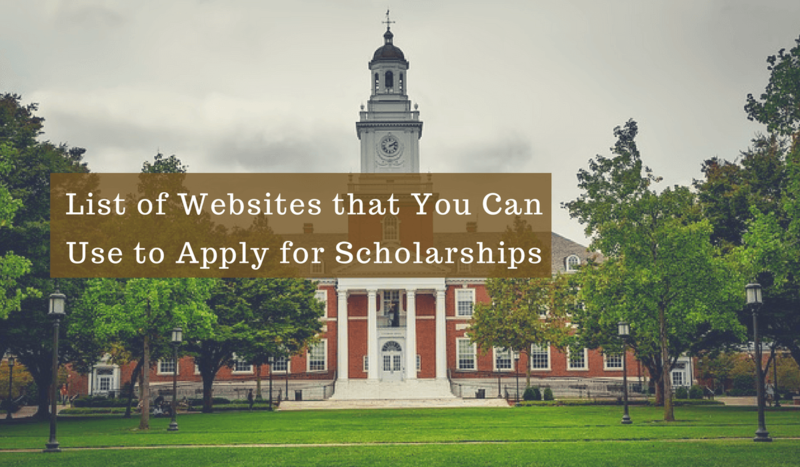 Here is a list of websites you can use to apply for scholarships. Yconic is “your student community Offering free scholarship matching & peer-to-peer support for your life as a student.” They provide information about the scholarship, bursaries, contests, grants, and fellowship. Yconic partners with many organizations and companies to assist students with their college financial needs. You are free to join to become a Yconic member to access the exclusive offers from them. To join to become Yconic member visit the website. Universities Canada is “the voice of Canadian universities, at home and abroad.” Universities Canada offers scholarship as well as internship opportunities for Canadian students. Canadian students can apply for scholarship and internships from Universities Canada website. Be sure to check their website to find information about the opening date and deadline, and get notified for the upcoming scholarship. Scholarships Canada has been helping students find scholarships to fund their education since 1997. It offers a list of scholarships that you can apply for. Students can use search box to the search the scholarship opportunities. The Mensa Canada Scholarship Programme offers a various scholarships. The scholarships are only open to Canadian citizens or landed immigrants. The applicants must be at least 18 years of age and enrolled in a full-time qualifying program at a Canadian post-secondary institution. The awards range from $1000 to $3000. The applicant needs to submit a 250-word essay to apply. Visit the website to find out more about the scholarship. If you are entering university in the fall, consider applying for a scholarship at Loran Scholar to help you finance your studies. Visit the website to find out about the scholarship. The OAS (Academic Scholarship Program) grants scholarships every year. The scholarships are available for academic studies (professional development, undergraduate, masters, and doctorates). Visit the website to see the scholarship opportunities. SeniorAdvice.com offers scholarship programs to an eligible student who has been a caregiver for an adult relative or has served as a volunteer in a senior living community. CEMF offers awards for women studying engineering in Canada. CEMF awards up to five $5,000 undergraduate regional awards each year. Visit the website to learn more about the awards. Search for scholarship opportunities using this database. These are few scholarship opportunities we have come across. If you have more to add to our list, let us know by leaving a comment below.